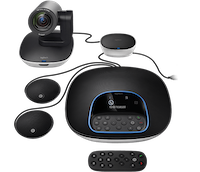 Logitech Group HD Camera GoToMeeting Bundle - if you're looking for brands you recognize, this is the bundle for you! In this kit, you’ll be getting one of our best-selling cameras, the Logitech Group Conference Cam with additional mics - perfect for those smaller conference and meeting rooms. This will allow you to easily create Unified Communication meetings and create an exceptional experience for you and your team. It’ll be so lifelike, you’ll think you’re all in the same room! GoToMeetingrequires numerous components and can create confusion. We believe you should get high quality components that have been tested and give you the best experience for your dollar. 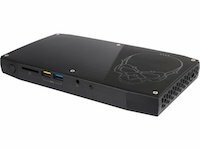 VideoConferenceGear.com tests everything before we recommend it or sell it online. We've made it easy to order GoToMeetingkits. No longer do you have to go through multiple suppliers to get your GoToMeetingsolution.